The Abrams Planetarium was named in honor of Leota and Talbert "Ted" Abrams, a pioneer in the field of aerial photography and mapping. Ted Abrams was born on August 17, 1896 in Tekonsha, Michigan. While a child he read about the flights of the Wright brothers and was inspired to become a pilot. When he turned 18 he moved to Detroit and found odd jobs at area airports. The following year was hired as a mechanic at the Benoist Airplane Company in Ohio. Soon after he moved to Buffalo, New York where he worked for the Curtiss Aeroplane Company. 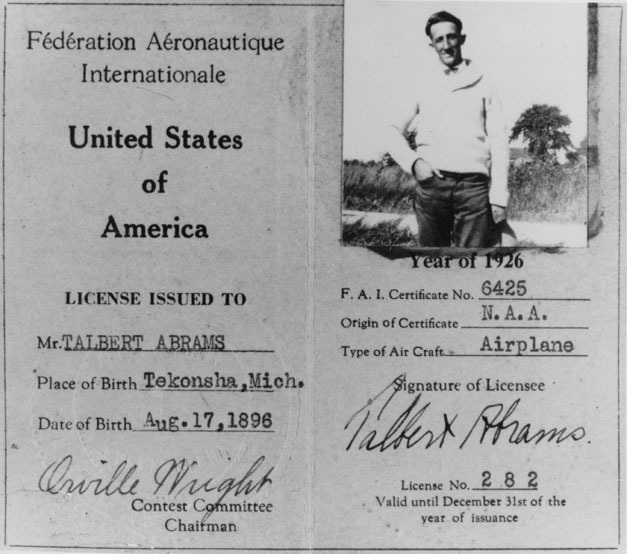 During his employment there, Abrams learned to fly at the Curtiss Aviation School, and in 1916 was issued his Federation Aeronautique Internationale Pilot's license, number 282, signed by Orville Wright. In 1917 he enlisted in the Marines and was placed in the Aviation Section and stationed in Pensacola, Florida with the Navy's flying school. After World War I, Abrams stayed in the military, where his squadron, the First Marine Aviation Force, was assigned to patrol duty in the Caribbean. His squadron would take detailed aerial maps of the coast of Haiti, documenting the movements of rebel troops. While completing this assignment Ted Abrams became seriously interested with the development of new techniques of aerial photography. 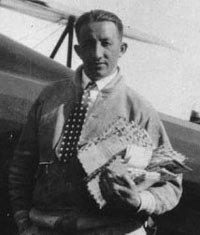 After he left the military in 1920, Abrams purchased his first airplane, a Curtiss JN-4 Jenny, and formed his own business, the ABC Airline ("Always Be Careful"). He used pictures he had taken from his flights to convince people to buy trips on the plane. However, he soon learned that people would rather purchase his aerial pictures than rides in the airplane. On January 15, 1923 Ted Abrams married Leota Pearl Fry and they soon moved to Lansing. 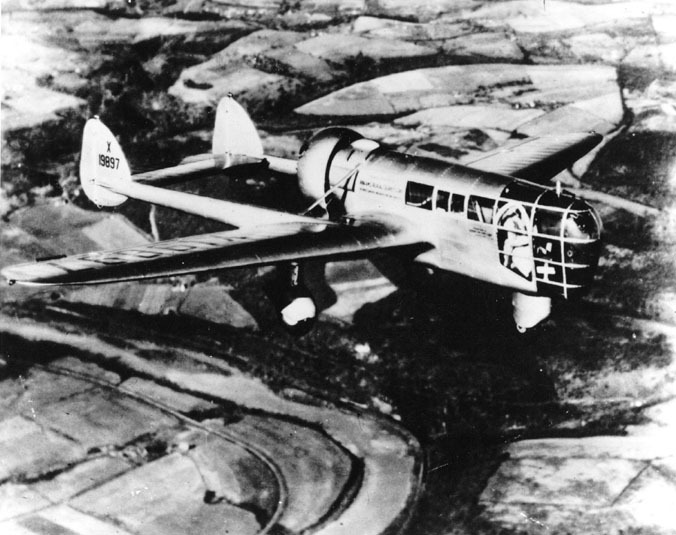 At this time Abrams bought a new plane, a Standard J-1, and equipped the plane with a homemade camera and formed the Abrams Aerial Survey Corporation. The company soon received many government contracts for aerial photographs. The business was a success and it quickly expanded as Abrams purchased more equipment and planes. He then formed the Abrams Instrument Corporation in order to design better cameras and equipment for his planes. In 1937 Ted Abrams formed the Abrams Aircraft Corporation. The purpose of this company was to design and build a better aircraft for aerial photography. This led to the design and construction of the Abrams Model P-1 Explorer, the first aircraft created for the sole purpose of aerial photography. The plane saw extensive use up to World War II. Abrams continued to design other planes, including the "Explorer II", but because of the war, none of these designs was ever built. During World War II, Ted Abrams placed the Explorer in storage and formed the Abrams School of Aerial Surveying and Photo Interpretation, where he taught photogrammetric engineering to military students. Also during this time the Abrams Instrument Corporation built aerial photographic equipment for the armed forces. After World War II, Abrams returned back to aerial photography, but with more advanced planes and equipment being developed, the Explorer was no longer needed. The plane was donated in 1948 to the National Air and Space Museum, where it is still housed today, waiting to be refurbished and displayed. The Abrams Instrument Corporation was sold to the Curtiss-Wright Corporation in 1961, and with more free time Abrams and his wife traveled the world. Along with his Leota, Ted Abrams has visited 96 countries and is a member of the Circumnavigators Club, several time traveling around the world. 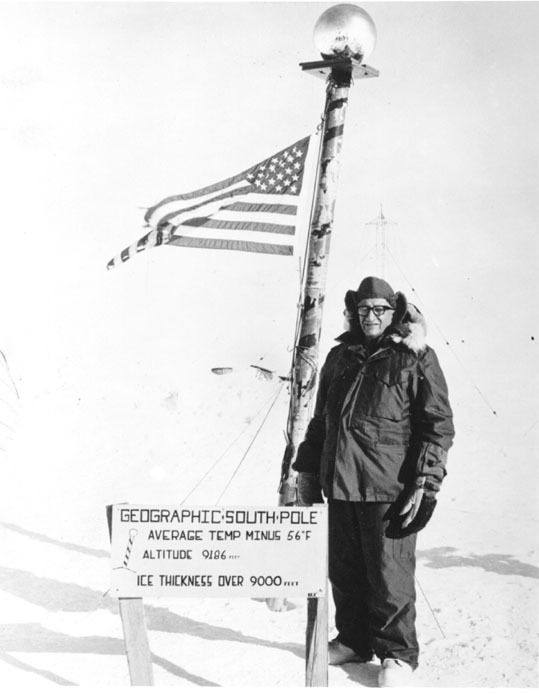 He has visited both the Arctic and the South Pole, even having a mountain in Antarctica named after him. Along with the Circumnavigators Club, he was a member of the Explorers Club of New York, and inducted into both the OX5 Aviation Pioneer's Hall of Fame and the Michigan Aviation Hall of Fame. His love of flying is most notably shown in the Abram's airplane shaped house located in Lansing. In 1962 Talbert and Leota created the Abrams Foundation which annually funds engineering scholarships and disperses grants to Lansing area causes. 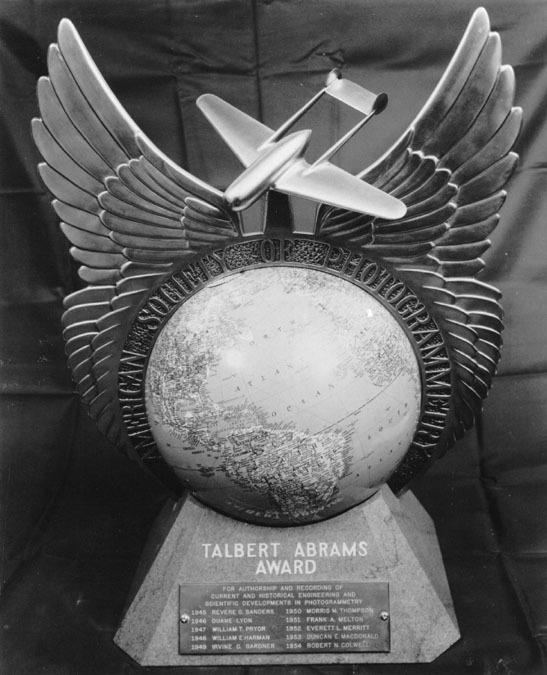 The American Society of Photogrammetry annually presents the "Talbert Abrams Award" to an individual who makes a major contribution to the field of aerial photography and mapping. In 1962 the Abrams made a large donation to Michigan State University in order to fund the construction of a planetarium, which was then named in their honor. Although Ted Abrams passed away on August 26, 1990, the Abrams Aerial Survey Corporation continues to operate out of Lansing, and is still one of the leaders in the field of aerial photography and mapping. In addition, the Abrams Foundation continues its work of supporting local students and causes. Reference: Pauley, Robert F. "The Abrams Explorer" Skyways: The Journal of the Airplane 1920-1940. No. 61, January 2002.